Alan's Factory Outlet steel buildings are built on site on your level land in over half the nation. You get to choose the style, size and colors for a structure that will best meet your needs. 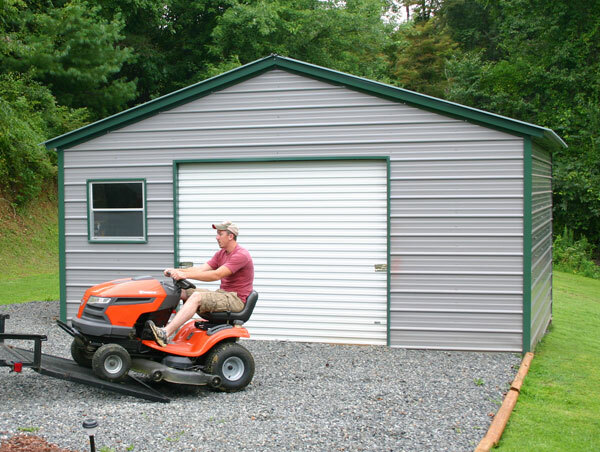 Click on your state for the metal garage prices. Free delivery and installation in 27 states in the USA. The three different styles of Carolina Carports are regular style, boxed eave and vertical roof. The metal buildings are delivered in 27 states in the USA.